Art Gallery Cards: Cardmaking Fun! 5 Great Cards! 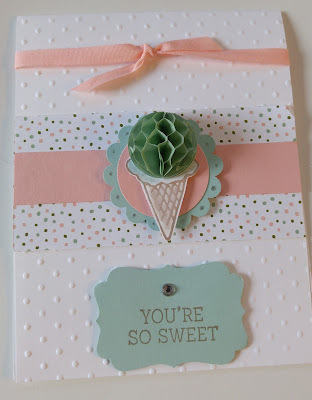 Cardmaking Fun! 5 Great Cards! I hope this finds you well, happy and enjoying your creativity! This may look familiar because it case'd directly from the Spring Occasions Catalog! 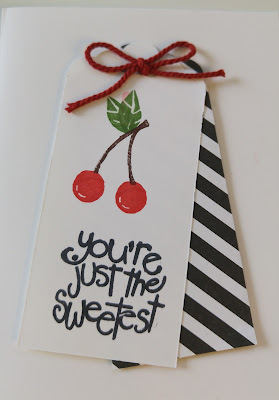 A great pop of color and a super easy peasy card!! 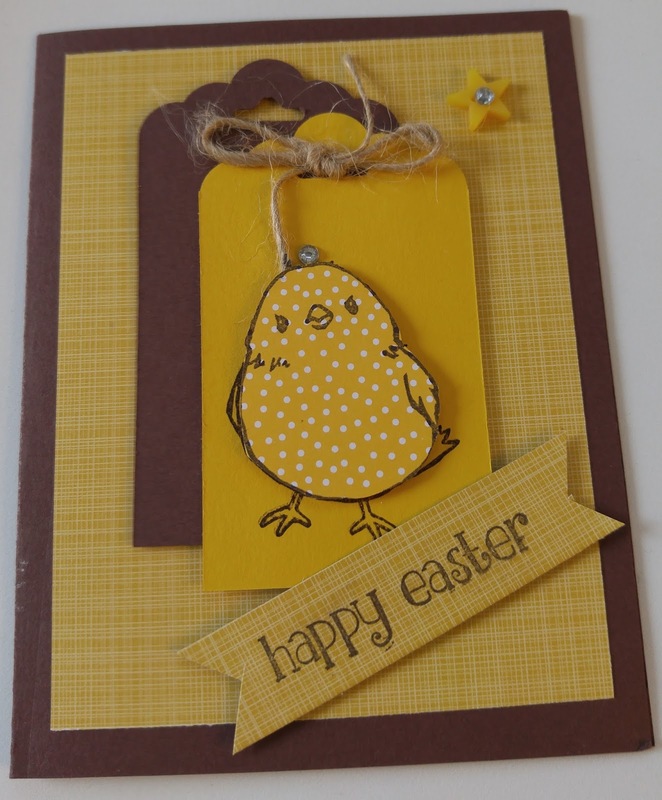 Who doesn't love the sweet little chick from the Sale-A-Brations flyer. That means=FREE! 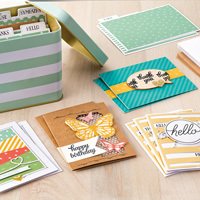 Love the Honeycomb Happiness stamp set! I snagged the "Happy Easter" sentiment from the darling lamb stamp in the Spring Occasions Catty! Back by popular demand! 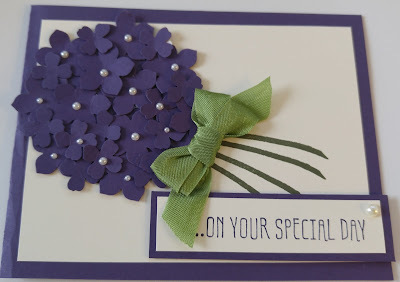 This really "WOW" card has always been a favorite with my stampers. Lots of punches using the Petite Petals punch and the Itty Bitty Flower punch. 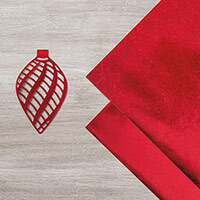 We used Elegant Eggplant for our vibrant color! I had the pleasure of attending a wonderful workshop, hosted by Oksana Semenska of Port Orange, FL. What a gifted designer Oksana is!! We did a lot of Aqua Writer painting and washing on our 5 gorgeous cards using the Rose Wonder stamp set. I used Oksana's class as a jumping off point for one of this week's card. 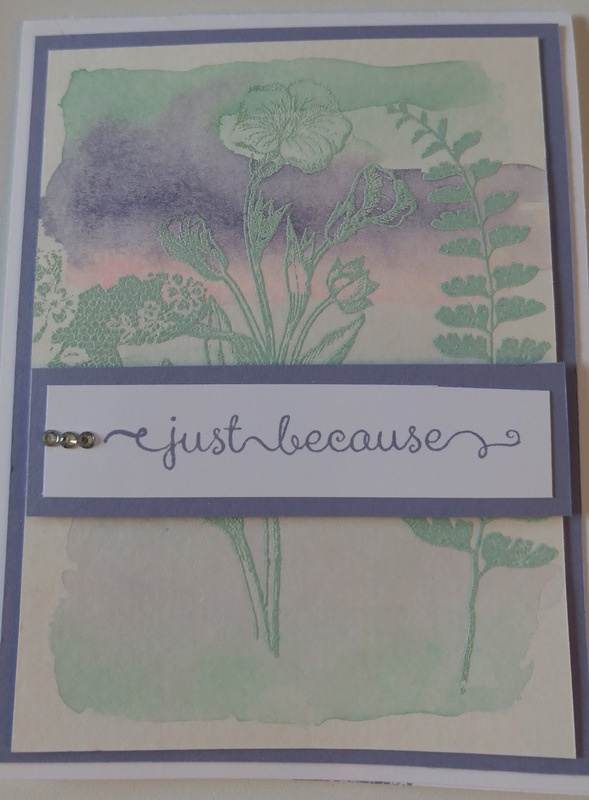 We embossed Butterfly Basics images with Pool Party Embossing Powder and then we used Aqua Painters to create a lovely wash using Pool Party, Pink Pirouette and Wisteria Wonder! Don't forget to check out this week's Weekly Deals! Oh Yayyyyy! For once there is an item I need and I get the discount too!! Ornate Tag Topper, Here I come!!! Great post, Ree! I love the hydrangea card. I am going to show to my future DIL as her colors are eggplant and flowers are hydrangeas...thanks for the inspiration. So happy you are getting to relish in the music and choir!